Get the best out of two worlds with the AvaLight-DHc. 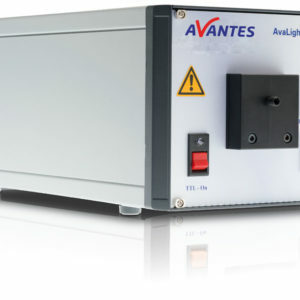 It has both a deuterium light source and a halogen light source, providing you with adequate light between 200 and 2500 nm for nearly all absorbance chemistry applications. Deuterium emits light between 200 and 550 nm, where the halogen takes over up to 2500 nm. 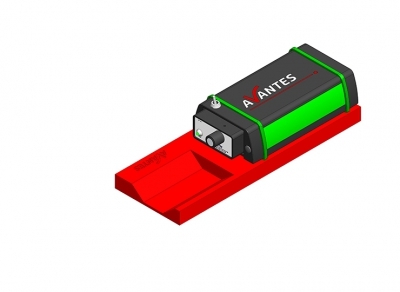 Coupling to the rest of your spectroscopy system is easy with the SMA connector. 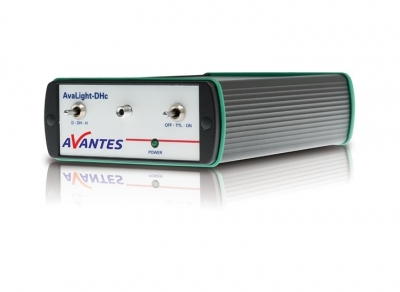 This light source is recommended in settings with large fiber cables or direct-attachment to a cuvette holder such as the CUV-DA, due to its relatively low output energy. The integrated TTL-shutter makes saving a dark measurement very simple in combination with AvaSoft (extra IC-DB26-2 needed). Optionally the AvaLight-DHc is available in a rack-mountable version, to be used in the 19” rack or the 9.5” desktop system. 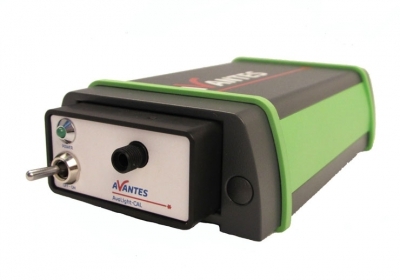 A direct-attach cuvette holder CUV-DA (see section accessories) is available for fluorescence or absorbance measurements.